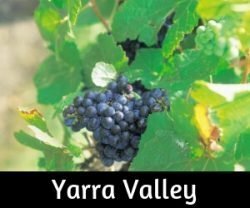 Wicked Walkabout has evolved from a family blog into what is now a niche Travel blog focussing primarily on our home state of Victoria as well as around Australia and worldwide. 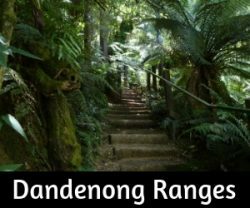 We are an Australian / English mix family with two adventurous daughters who were both born in Winchester, U.K. and we now live in the beautiful Dandenong Ranges, not far from Melbourne, Victoria. 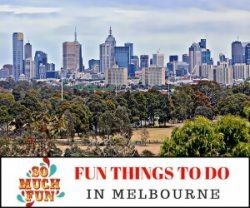 Exploring Victoria, including the well known Great Ocean Road and beyond whilst the kids are growing up is fabulous whether it is camping in tents, sleeping out in hammocks, travelling with our vintage caravan or staying in booked accommodation. Travelling with kids is a little different to going solo, but it is so incredibly rewarding. Our travels are family focused now and we enjoy taking the girls out to explore the world and this great country. We spent 10 months in the UK and Europe in 2015, travelling in winter, spring and summer with a small caravan. It was a tremendous learning experience for the girls, seeing so many different countries, including Morocco. Learning new language skills and about currency conversions as well as some incredible history lessons. My own travels started with a 6 month North America trip at 21, mostly by Greyhound coaches, visiting friends and meeting some amazing people whilst seeing so much of the country. 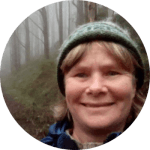 Closely followed by six months bike riding in the U.K and Europe with a Canadian friend, camping wherever we finished the day and being spontaneous about direction – often tossing a coin to decide a route! Fantastic trips into Thailand, plus Peru and the brilliant Inca Trail then a rather epic 5-month solo drive, starting from Oregon in mid-winter, across the states of Utah, Arizona, & New Mexico then down through Mexico, Guatemala, Belize, Honduras, and El Salvador. 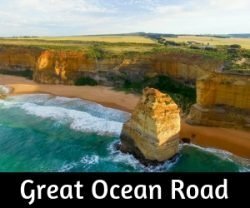 As a former bus tour owner/operator and tour guide along the Great Ocean Road, I have an insight into both sides of the travel industry. There is nothing like heading out to explore the world or as much of it as possible, but there is also nothing better than getting acquainted with your own backyard. Australia certainly has a fantastic backyard to play in! Collaborations with tourism destinations and sponsored reviews are often incorporated into our travels. Any review on this site is our own opinion and written from our experiences.